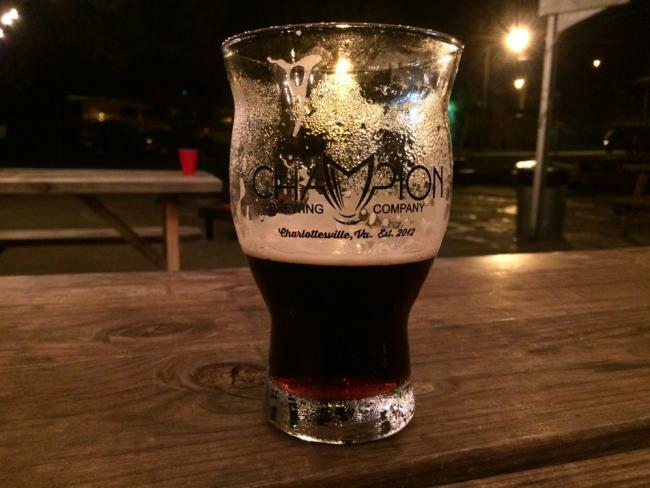 One of the things I love most about living in Charlottesville is its booming craft beer scene. As a Belgian native, I do enjoy a pint of beer every once in a while. 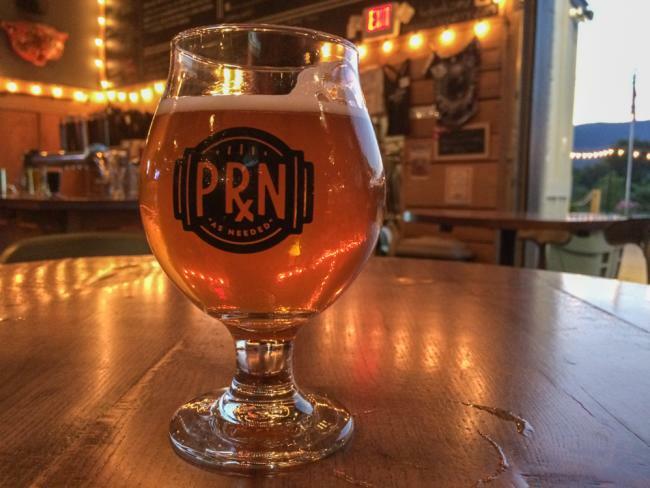 Since I moved to Charlottesville about a year ago, the city has seen the opening of several new beer-centric establishments—Random Row Brewing Company on Preston Avenue and Draft Taproom on the historic pedestrian Downtown Mall. In the near future, a new Belgian-themed restaurant and brewery, Brasserie Saison, will also open on the Downtown Mall. Three Notch’d Brewing Company is moving to the IX Art Park, which will expand its business and capacity. This is all to illustrate that, if you like craft beer, Charlottesville is THE place to be! 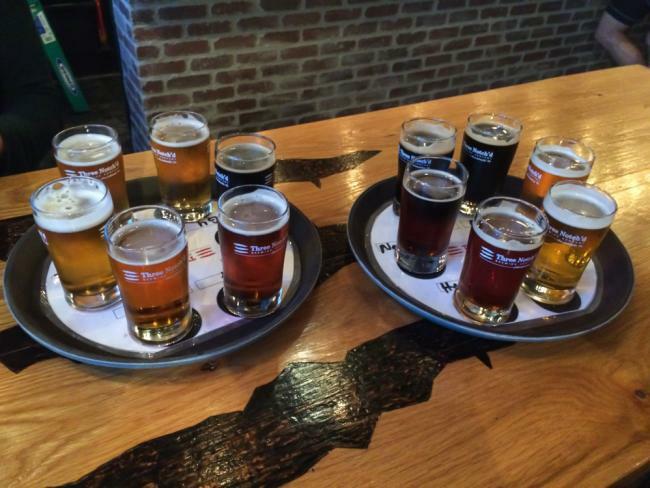 There are currently four breweries within the city limits while nearby Crozet has two. 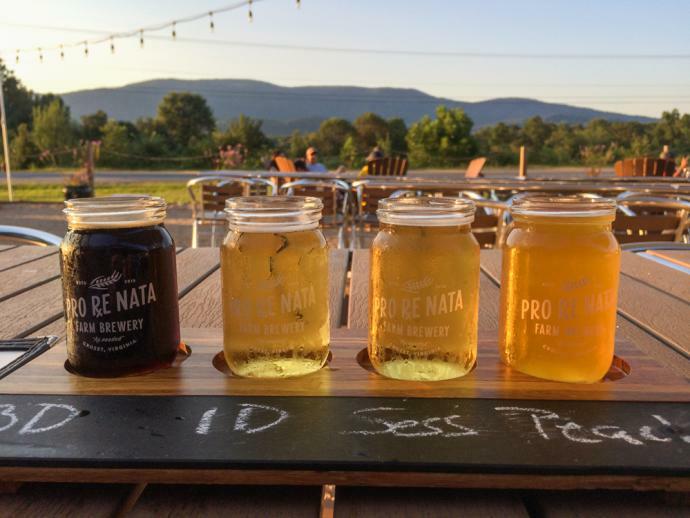 With these six breweries in the Charlottesville area, there’s an abundance of different craft brews to try and I can proudly say that I’ve had the chance to sample and enjoy most of them. In the list that follows, I’ve named and described my favorite local beers from the Charlottesville area. Before we get started, I’d like to note that these are the best beers that are permanently available at the breweries’ taprooms, in local stores or both. There are many other, really great, seasonal and experimental beers available at all the local breweries at any time. 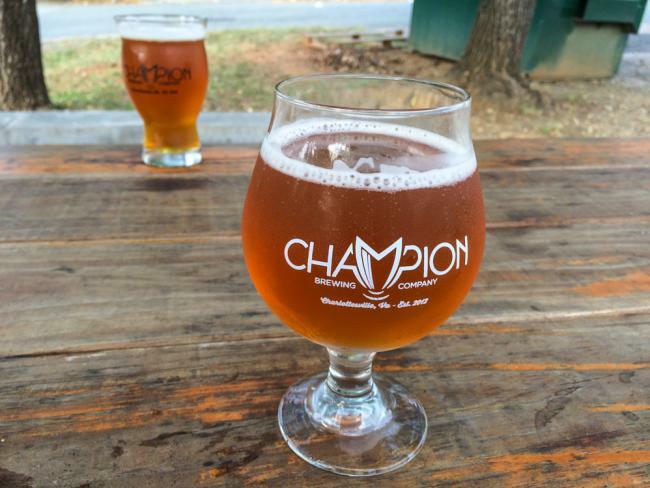 Champion Brewing Company&apos;s Falconer is a hoppy American wheat beer made with falconer’s flight hops and a blend of citra, simcoe and sorachi ace. It features a heady hop nose but is mostly an easily drinkable and mildly bitter wheat beer. This is one of my absolutely favorite local beers from the Charlottesville area. Whenever I feel like having a casual beer after a long day of work, the Falconer is what I go for. There’s a great variety of excellent beers tapped at Champion all of the time, but I’d especially like to recommend their Black Me Stout. Occupying a well-balanced spot between an imperial stout and a dry stout, this dark beer is brewed with chocolate malt and wheat. A low bitterness and smooth taste make it a must-try craft beer, for those who like darker beers. In my opinion, one of the very best IPAs made in Charlottesville, the Barhopper IPA from South Street Brewery, is an India Pale Ale made with lots of different ingredients. No fewer than five hops are used in the brewing process—simcoe, centennial, falconer’s flight, azacca and cascade hops—in addition to wheat, pils, caramel Munich and caramel Vienna malts. This all results in a delicious, medium-bodied and hop-forward IPA with a medium caramel taste. This Irish-style red is a unique beer, arguably my favorite beer brewed by Three Notch’d Brewing Company. 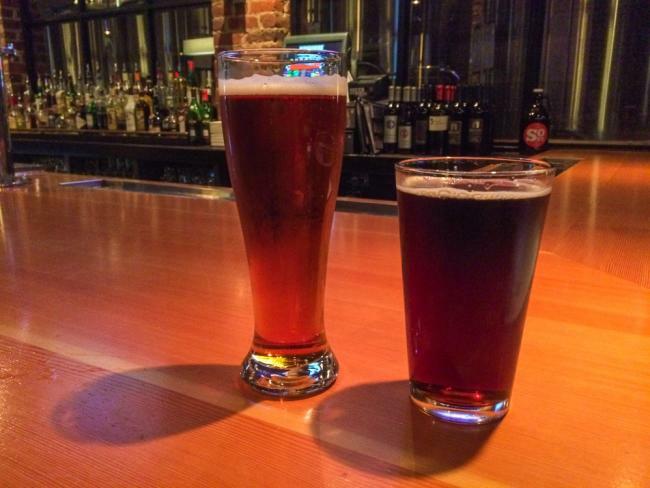 Named after the “Hydraulion,” the only fire engine owned by the former University of Virginia fire-fighting company, the Hydraulion Red is made with 2-row, crystal and caramel malts, and warrior and golding hops. One of the greatest stouts I’ve ever tasted, Three Notch’d’s Jack’s Java Espresso Stout, is brewed in collaboration with the roastmaster of Shenandoah Joe. He invented a unique three-roast blend of coffee just for this special beer. This hearty and dense oatmeal stout features an obvious coffee taste and hints of sweet chocolate, an extraordinarily delicious combination that you have to taste to believe. 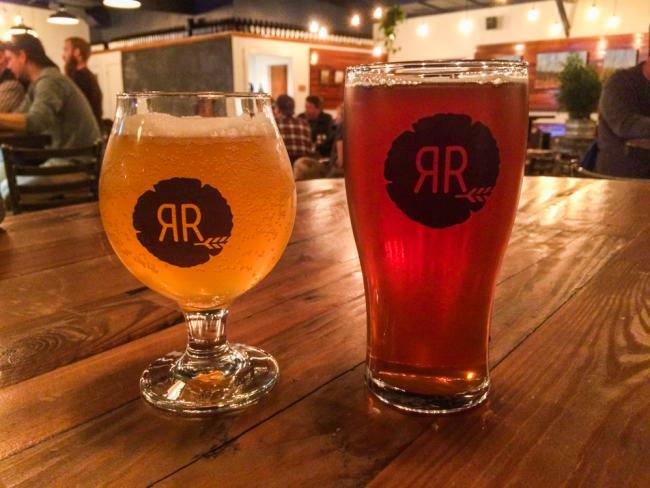 The latest addition to Charlottesville’s craft beer scene, Random Row, is definitely a promising brewery. My favorite beer at this young brewery is their Method IPA, which is a West Coast-style IPA. This hoppy beer is brewed with falconer’s flight 7C hops, which give the beer its aroma and flavor. To counterbalance the hops’ extreme bitterness, an English ale yeast is used to give this IPA a delicately sweet finish. I’m not going to lie about it; as a Belgian, I tend to be critical about beers referred to as Belgian-style. Sometimes the term is misused. Other times, however, it’s exactly right, as is the case with Pro Re Nata’s Pavlov’s Bell-gian Ale. This is by far my favorite beer from this wonderful farm brewery, located in Crozet. A wheat-forward and honey-gold brew, this Belgian ale features notes of apricot and cloves. 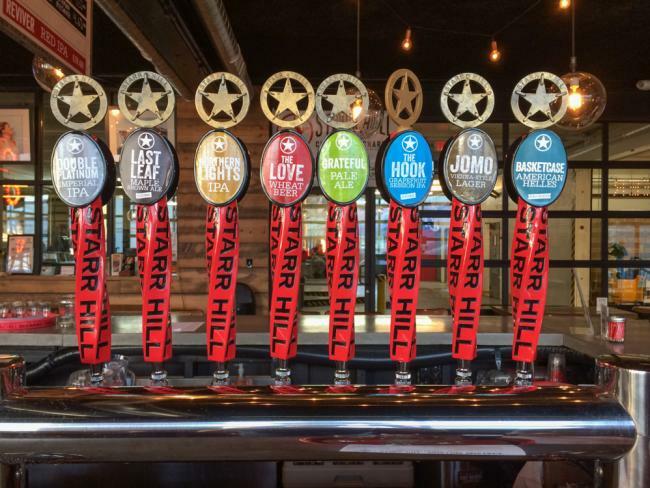 Many of Starr Hill Brewery’s beers are quite good, but if I had to pick just one, I’d order a Northern Lights IPA. It’s one of their flagship beers and for good reason. This classic American-style IPA is a great beer to enjoy after a day of hiking in the Blue Ridge Mountains. Featuring a citrus aroma and well-bodied bitterness, the Northern Lights IPA is made with five different hops, two malts and ale yeast. While you’re strongly recommended to try all these permanently-available craft beers, I also encourage you to try the seasonal ones on the breweries’ draft menus. Personally, I always order a sample flight to find one or more beers that I really like, after which I’d get a full pint of my favorite(s). Happy tasting and let us know about your favorite Charlottesville area craft beers in the comments section below! Cheers!